TITLE QUOTE BY ERMA BOMBECK. 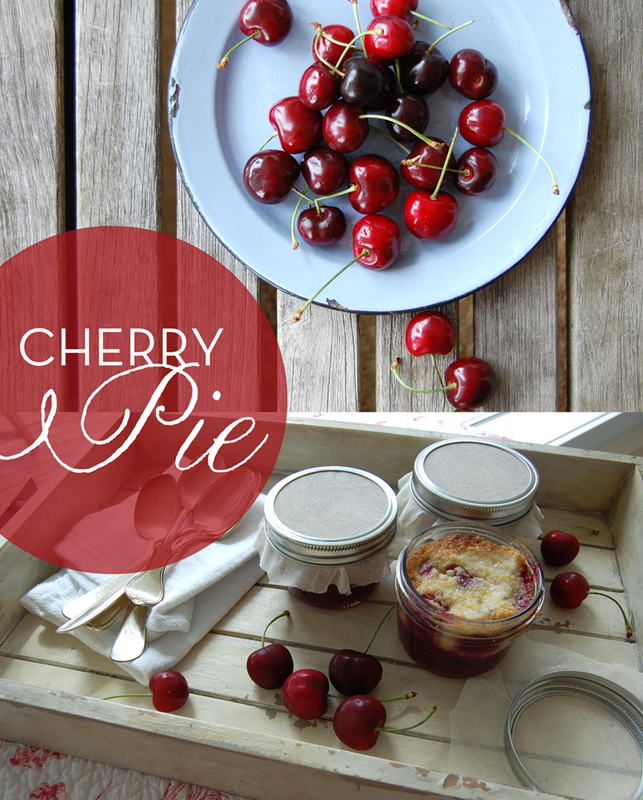 What beautiful photos and damn, does cherry pie sound delicious right about now. You take all the time you need to rest, recover and take good care of yourself. i agrees with estelle, the pics are wonderous. food photography is difficult, but you make it look easy as pie! Eating the props is really always the best part -- and most dangerous for the waistline! 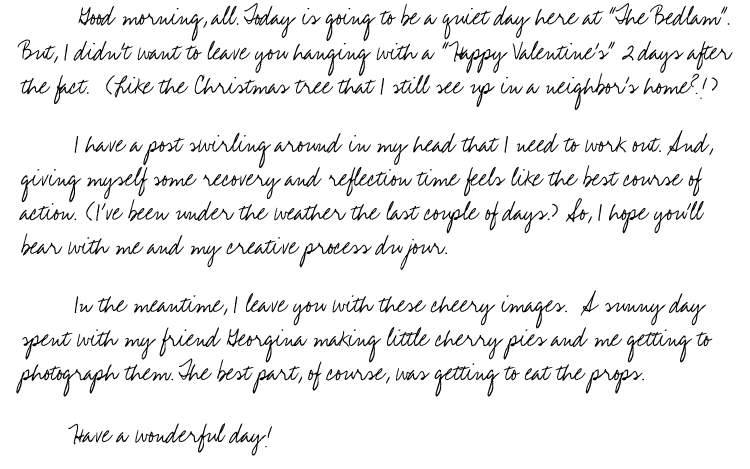 Hope all that loveliness swirling around in your head finds its way out soon! love the individual cherry pies!!! sounds like a yummy photo shoot! Take it easy, Uncle! Get better soon (I'm in a similar boat, currently). This pic is so pretty, no recipe needed! That looks too good to be a photo. Please let us know the recipe! !Happy weekend!!! They are such cheery photos! Thanks for brightening up my day. Sending good vibes, juju, etc your way.